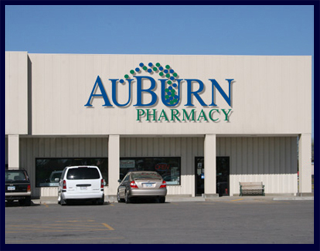 The idea behind AuBurn Pharmacy in Garnett Kansas is simple; we are staying true to our original focus of providing quality patient care at affordable prices with a community pharmacy atmosphere. It is a true community pharmacy that is located next to the Country Mart Grocery Store. It conducts AuBurn Diabetes Classes on the fourth Thursday of every month. Michael Burns, RPh. / Ryan Moore, Pharm D.
"Garnett is caring for the health of you and your community"
Garnett AuBurn Diabetes Solutions Class will be held 4pm, August 23rd at AuBurn Corporate. 2 visitors like this page!